Getting an SUV to fit all of your family driving needs isn’t difficult when you shop the used Mercedes-Benz inventory at Mercedes-Benz of Warwick. These models, from the used GLA to the GLS, provide a luxurious interior, high tech features, and quality comfort for all your East Greenwich driving needs. 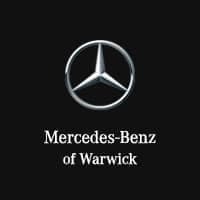 Browse our inventory and find the used Mercedes model that will best suit you, your family, and your budget at Mercedes-Benz of Warwick. Also be sure to browse through our used vehicle specials to find the deal that’s right for you. PREMIUM ONE PACKAGE, COMFORT ACCESS, SIRIUS XM SATELLITE RADIO, BACKUP CAMERA, POWER SLIDING SUNROOF, HEATED FRONT SEATS, DYNAMIC SELECT, COLLISION PREVENTION ASSIST PLUS, RAIN SENSING WINDSHIELD WIPERS, POWER TAILGATE, AND MUCH MORE! !, $45,685 ORIGINAL MSRP!!. CARFAX One-Owner. Clean CARFAX. 21/28 City/Highway MPG Black on Black.PREMIUM ONE PACKAGE, COMFORT ACCESS, SIRIUS XM SATELLITE RADIO, BACKUP CAMERA, POWER SLIDING SUNROOF, HEATED FRONT SEATS, DYNAMIC SELECT, COLLISION PREVENTION ASSIST PLUS, RAIN SENSING WINDSHIELD WIPERS, POWER TAILGATE, AND MUCH MORE! !, $45,685 ORIGINAL MSRP!!. HEATED FRONT SEATS, DYNAMIC SELECT, POWER FRONT SEATS, BACKUP CAMERA, ACTIVE BRAKE ASSIST, RAIN SENSING WINDSHIELD WIPERS, AND MUCH MORE! !, $38,075 ORIGINAL MSRP!!. Priced below KBB Fair Purchase Price! Clean CARFAX. 23/31 City/Highway MPG Polar White on Black.HEATED FRONT SEATS, DYNAMIC SELECT, POWER FRONT SEATS, BACKUP CAMERA, ACTIVE BRAKE ASSIST, RAIN SENSING WINDSHIELD WIPERS, AND MUCH MORE! !, $38,075 ORIGINAL MSRP!!. SMARTPHONE INTEGRATION, APPLE CARPLAY/ ANDROID AUTO, POWER SLIDING PANORAMIC SUNROOF, DYNAMIC SELECT, BACKUP CAMERA, POWER FRONT SEATS WITH MEMORY, RAIN SENSING WINDSHIELD WIPERS, POWER TAILGATE, AND MUCH MORE! !, $39,195 ORIGINAL MSRP!!. Clean CARFAX. 23/31 City/Highway MPG Polar White on Black.SMARTPHONE INTEGRATION, APPLE CARPLAY/ ANDROID AUTO, POWER SLIDING PANORAMIC SUNROOF, DYNAMIC SELECT, BACKUP CAMERA, POWER FRONT SEATS WITH MEMORY, RAIN SENSING WINDSHIELD WIPERS, POWER TAILGATE, AND MUCH MORE! !, $39,195 ORIGINAL MSRP!!. PREMIUM ONE PACKAGE, SIRIUS XM SATELLITE RADIO, COMFORT ACCESS, HEATED FRONT SEATS, SMARTPHONE INTEGRATION, APPLE CARPLAY/ANDROID AUTO, POWER SLIDING PANORAMIC SUNROOF, DYNAMIC SELECT, BACKUP CAMERA, RAIN SENSING WINDSHIELD WIPERS, AND MUCH MORE! !, $41,715 ORIGINAL MSRP!!. Clean CARFAX. 23/31 City/Highway MPG Lunar Blue Metallic on Crystal Gray.PREMIUM ONE PACKAGE, SIRIUS XM SATELLITE RADIO, COMFORT ACCESS, HEATED FRONT SEATS, SMARTPHONE INTEGRATION, APPLE CARPLAY/ANDROID AUTO, POWER SLIDING PANORAMIC SUNROOF, DYNAMIC SELECT, BACKUP CAMERA, RAIN SENSING WINDSHIELD WIPERS, AND MUCH MORE! !, $41,715 ORIGINAL MSRP!!. Lunar Blue Metallic on Crystal Gray. PREMIUM PACKAGE, HEATED FRONT SEATS, COLLISION PREVENTION ASSIST PLUS, SIRIUS XM, AUTODIMMING MIRRORS, SMARTPHONE INTEGRATION WITH APPLE CARPLAY AND ANDROID AUTO, PANORAMA ROOF, PRESAFE®, REMOTE START, AND MUCH MORE!!!. Recent Arrival! Clean CARFAX. 23/31 City/Highway MPG Red on Black.PREMIUM PACKAGE, HEATED FRONT SEATS, COLLISION PREVENTION ASSIST PLUS, SIRIUS XM, AUTODIMMING MIRRORS, SMARTPHONE INTEGRATION WITH APPLE CARPLAY AND ANDROID AUTO, PANORAMA ROOF, PRESAFE®, REMOTE START, AND MUCH MORE!!!. Take a trip to our dealership to get behind the wheel, take a test drive, compare our Mercedes-Benz models, or even just to look. Even when you leave the lot, you can take advantage of our parts and services specials, quality service center with technicians specifically trained on Mercedes-Benz models, and even new vehicle specials when it’s time to upgrade. When you’re ready, come in to Mercedes-Benz of Warwick to experience a Mercedes-Benz SUV for yourself. Contact us today with any questions about our used SUVs or how used compares to CPO.